Gotu Kola (latin. Centella asiatica or Hydrocotile asiatica) is a small herb coming from the southern parts of Asia and the South Asian island. 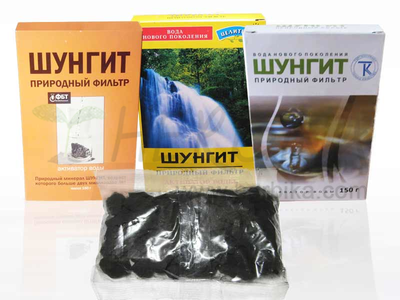 It is widely used in Ayurveda, the traditional African and Chinese medicine. Gotu kola is a mild adaptogen, containing active substances (particularly saponin, flavonoids and alkaloid hydrocotylin), which according to recent studies positively affect the circulatory system, help to improve blood circulation, strengthen and stimulate the brain, improve memory and concentration, and help to cope with negative phenomena that occur with age, such as loss of energy, fatigue, forgetfulness, dizziness. Gotu Kola has been successfully used in the treatment of vascular insufficiency, high blood pressure and irritability. 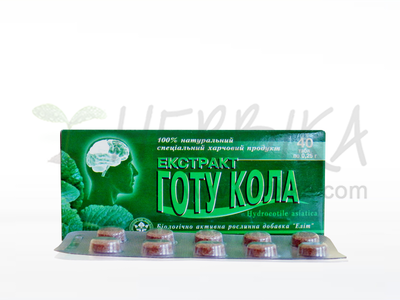 It has anti-oxidative effects, protects nerve and brain cells from dying. In Thailand Gotu Kola is used as an afternoon stimulant that lowers high blood pressure. 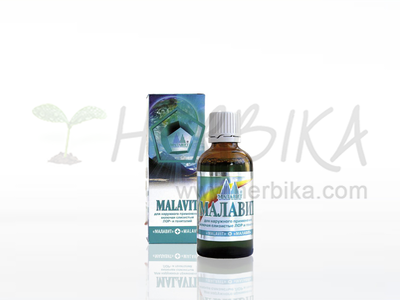 It is interesting for its use in detoxification from opium. 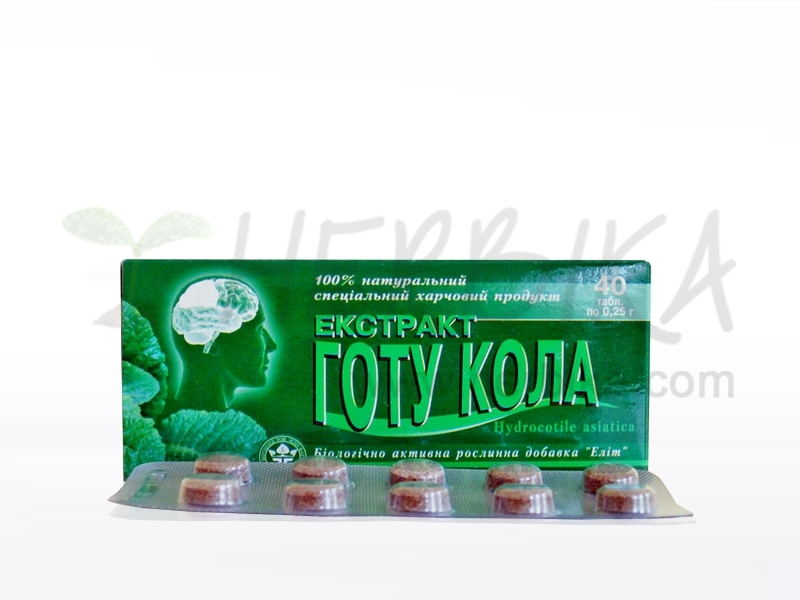 Ingredients: Gotu Kola extract 0.2 g (Centella asiatica, syn. 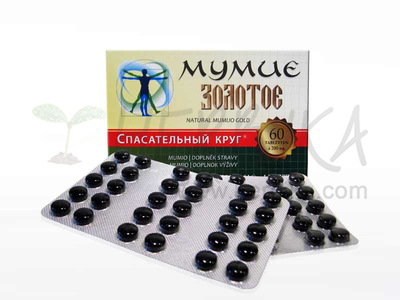 Hydrocotile asiatica), Vitamin C (ascorbic acid) 0.03 g, 0.0175 g lactose, calcium stearate 0.0025g. Dietary supplement. Use: 1 tablet daily during meal. Duration of use: 4 weeks. 4. 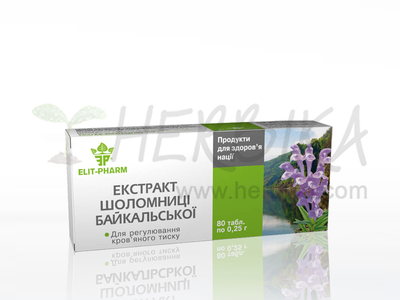 Baikal Skullcap (Scutellaria baicalensis) 80tbl.